All of our products are shipped to you via FedEx Ground or USPS 2-3 day Priority Mail. Please allow up to 24 hours after placing the order to receive your tracking number. This will be emailed to you and you may access the information on USPS.com or Fedex.com. I you have not received your tracking info please check your Spam folder in your email. What is the typical delivery time for my swing once I've placed an order? Once your order has been placed, it will generally leave our facility within 1-3 days. After that delivery will take 2-5 business days (excluding weekends). When is my credit card billed for my order? 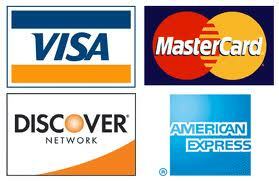 Your credit card will be billed at the time the order is placed. Can I stop a package that has been shipped? We use USPS and FedEx for all of our shipping and they currently do not offer a way stop shipping once your package has left our facility. I would like to return an item. What do I do? Please see our Returns header on our home page for all of the details for returning an item. I placed an order, but was shipped the incorrect item. What do I do? Call us for a Return Authorization Number. We will email a Return Shipping Label to you. If the order was shipped ground, and you decide to overnight the package to us to get it here faster, you will need to do that at your own expense. Once we receive the incorrect item back, Carolina Custom Swings, LLC will ship out the correct item. If you wish to have the correct item shipped out prior to us receiving back the incorrect item, we can do so, but you will need to pay for the replacement item as well and once the original item is received then you will be refunded the full purchase price of the original item. No express freight methods will be used for items shipped a second time regardless of how the item was originally shipped. Does Carolina Custom Swings ship internationally? Sorry. We do not ship internationally. Carolina Custom Swings offers a 100% Money Back Guarantee, how do I use it? If you are not satisfied with your purchase, you have 30 days from your delivery date that you can return it to us for a full refund, minus the restocking and shipping fees. See our RETURN header at the top of our home page. Do you include hanging instructions for the swings? Yes, a complete set of instructions comes with each swing on how to hang it. Please see the Instructions we have posted on our home page. Do you include hardware for hanging the swings? Yes, we do include with your purchase, two 1/2" rope clamps that allows you to quickly install your swing. 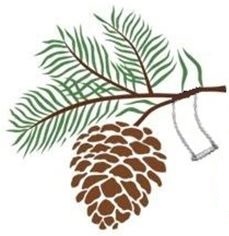 However, we do offer various length Swing Hang Kits that can be used to protect your tree and that can also be used to add length to your swing. See our Swing Accessories at the top of our home page. Is a warranty provided with each swing? Yes. We offer a Limited Lifetime Warranty. Why Limited? Limited simply means that we stand behind our materials that we use to produce our swings (wood, rope, clamps, snap hooks, straps). If any of those components fail at any time we will gladly send replacement parts out to you at no cost. However, for example, if Little Johnny got Daddy's hand saw out Daddy's work shop and saws the swing seat in half or cuts the rope...that kind of stuff is not covered under our warranty...don't laugh folks , it's happened. What kind of wood do you use for the swings? We only use highest grade wood that you can buy to produce our swings. The majority of our swings are made from Southern Yellow Pine and American Black Walnut. There's a lot of truth in the saying "you get what you pay for". Only the best goes into our swings. Period.